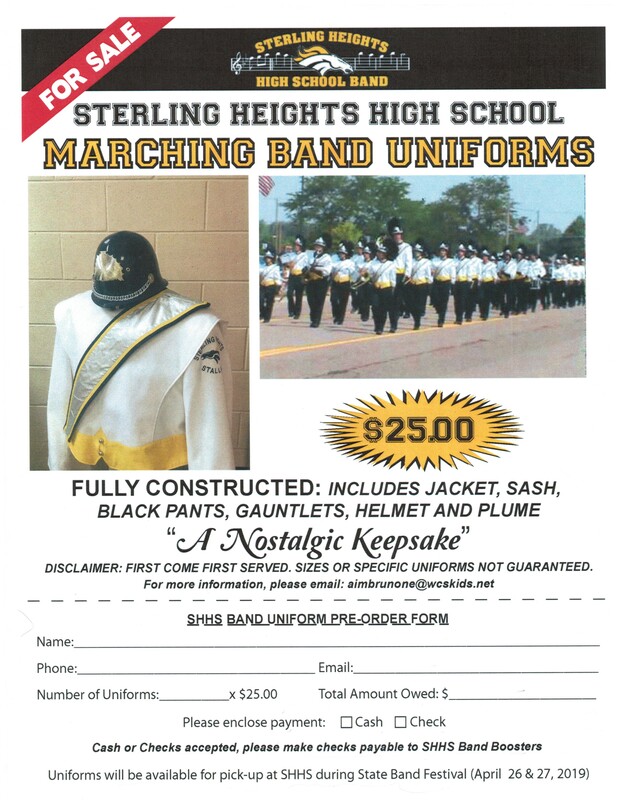 This is your opportunity to own a piece of Sterling Heights HS Band History! For $25 you can purchase an entire marching uniform. Please see order form for details. Previous Jazz Band Straight Division I Ratings!